01 oct. 01/10 PORDIC PORDIC 27 - 45 U13 GARS-1 CTC - COMPETITION U13G1-CTC-COMP Champ. 08 oct. 08/10 U13 GARS-1 CTC - COMPETITION U13G1-CTC-COMP 51 - 56 LAMBALLE LAMBALLE Champ. 05 nov. 05/11 LANRODEC LANRODEC 47 - 42 U13 GARS-1 CTC - COMPETITION U13G1-CTC-COMP Champ. 12 nov. 12/11 U13 GARS-1 CTC - COMPETITION U13G1-CTC-COMP 31 - 44 QUINTIN QUINTIN Champ. 19 nov. 19/11 U13 GARS-1 CTC - COMPETITION U13G1-CTC-COMP 63 - 20 PORDIC PORDIC Champ. 26 nov. 26/11 LAMBALLE LAMBALLE 36 - 50 U13 GARS-1 CTC - COMPETITION U13G1-CTC-COMP Champ. 10 déc. 10/12 U13 GARS-1 CTC - COMPETITION U13G1-CTC-COMP 38 - 62 LANRODEC LANRODEC Champ. 17 déc. 17/12 QUINTIN QUINTIN 23 - 69 U13 GARS-1 CTC - COMPETITION U13G1-CTC-COMP Champ. 14 janv. 14/01 BB PORDIC BB PORDIC 39 - 60 U13 GARS-1 CTC - COMPETITION U13G1-CTC-COMP Champ. 21 janv. 21/01 U13 GARS-1 CTC - COMPETITION U13G1-CTC-COMP 47 - 27 LANNION TREGOR BASKET LANNION TREGOR BASKET Champ. 28 janv. 28/01 TREGUEUX BCA TREGUEUX BCA 39 - 66 U13 GARS-1 CTC - COMPETITION U13G1-CTC-COMP Champ. 04 févr. 04/02 U13 GARS-1 CTC - COMPETITION U13G1-CTC-COMP 69 - 37 BB PORDIC BB PORDIC Champ. 04 mars 04/03 LANNION TREGOR BASKET LANNION TREGOR BASKET 19 - 49 U13 GARS-1 CTC - COMPETITION U13G1-CTC-COMP Champ. 11 mars 11/03 U13 GARS-1 CTC - COMPETITION U13G1-CTC-COMP 105 - 63 TREGUEUX BCA TREGUEUX BCA Champ. 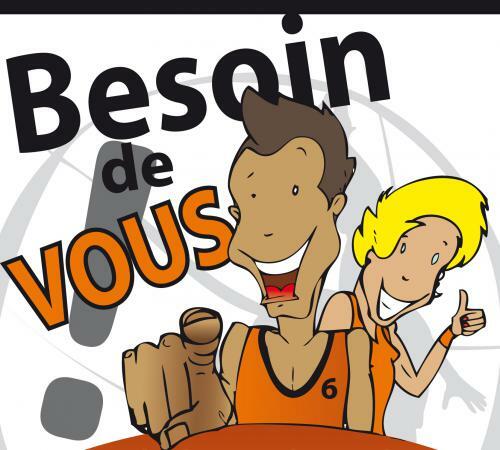 25 mars 25/03 ES HENANSAL ES HENANSAL 67 - 54 U13 GARS-1 CTC - COMPETITION U13G1-CTC-COMP Champ. 01 avril 01/04 MJC QUINTIN MJC QUINTIN 40 - 49 U13 GARS-1 CTC - COMPETITION U13G1-CTC-COMP Champ. 06 mai 06/05 U13 GARS-1 CTC - COMPETITION U13G1-CTC-COMP 53 - 64 ES HENANSAL ES HENANSAL Champ. 13 mai 13/05 U13 GARS-1 CTC - COMPETITION U13G1-CTC-COMP 81 - 40 MJC QUINTIN MJC QUINTIN Champ. 20 mai 20/05 U13 GARS-1 CTC - COMPETITION U13G1-CTC-COMP - F BC PLENEE JUGON BC PLENEE JUGON Champ.